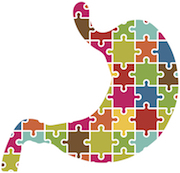 The title of a recent article in the Journal of Pediatric Gastroenterology and Nutrition was Evaluation of Intestinal Function in Children with Autism and Gastrointestinal Symptoms. The headlines featured by most of the lay press, “Tests Show No Specific Gastrointestinal Abnormalities in Children with Autism.” Big difference. • There was no difference in the activity of the enzymes that break down key sugars in autistic vs. non-autistic children who are evaluated for gastrointestinal disorders. • Specific biomarkers of intestinal inflammation were elevated equally in autistic vs. non-autistic children with GI signs and symptoms. • Biomarkers of a ‘leaky gut’ were not found more frequently in autistic vs. non-autistic patients with similar symptoms. A scholar.google.com search for gastrointestinal problems in autistic children returns >24,ooo results. There are reports of poor oral-motor function, sensory issues of taste and smell, GERD, eosinophilic esophagitis, abnormal gut flora, chronic constipation, chronic diarrhea, alternating constipation and diarrhea, and delayed toilet training. This crystallizes what’s wrong with research in the ASD universe. There isn’t one kind of autism. Addressing the individual co-morbid conditions frequently allows traditional therapies to take hold. The diagnosis itself is a collection of signs and symptoms categorized in this manner, especially since the DSM 5.0 has included PDD-NOS and Asperger’s Syndrome under the Autism Spectrum. There are conditions that present primarily with aggressive or disruptive behaviors, genetic variations – large and small, immune system regulation difficulties, central nervous system abnormalities and seizures, significant skin rashes, and probably many more. 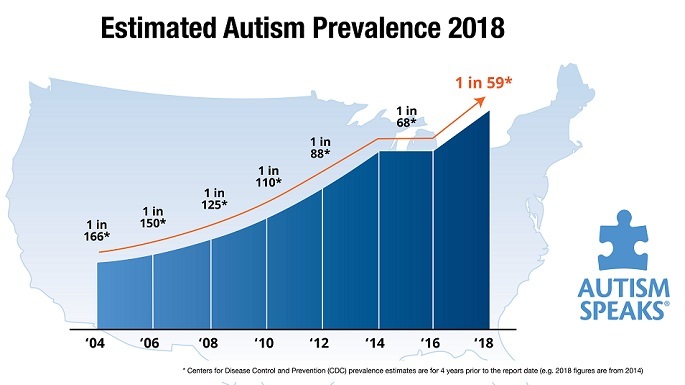 Even when respected professionals, such as Dr. Buie, et.al., research and document important information, it is frequently misunderstood by the general media to dismiss the tragedy of this epidemic. This entry was posted on Sunday, March 13th, 2016 at 11:31 am	and is filed under >ALL<, AD/HD, Alternative and Complementary Medicine for ASD, Asperger's Syndrome, Autism Therapies, Diets, Earliest Red Flags, Gastrointestinal Issue, Genetics, News-Maybe-Worthy, Patient experiences, Research, Reversing autism, Sensory issues, Speech and Language, Vitamin B12, Vitamin D. You can follow any responses to this entry through the RSS 2.0 feed. You can leave a response, or trackback from your own site.